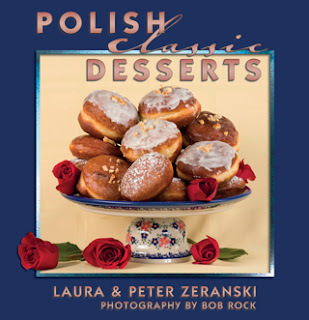 I used to go out of my way to buy it in a suburban Chicago Polish restaurant. went to Poland this summer. Was hoping to find a restaurant that served Czarnina, when I asked my tour guide if she knew of a place she replied "oh we don't eat that here" What's with that? One of the best memories of my childhood was duck soup for Sunday dinner with home made dumplings. Apparently, czarnina is more of a rural, farmstead dish, often looked down upon by sophisticated, urban cosmo-Pole-ites. Have you ever noticed that most ethnic comfort foods depend on inexpensive ingredients and simple, though often time-consuming, recipes? Peasant food. A Polish Restaurant in Cleveland haughtily told my cousin that duck blood soup was peasant food; ha ha! My grandfather, who was 1st generation American, was a coal miner, so it’s quite possible she was right. With this soup no part of the duck goes to waste, which is characteristic of people with lower incomes. My grandmother made this soup only a couple times a year, so for us it was a delicacy. Then my mom and dad started making it. In his later years dad said he just didn’t have the heart to kill the duck and was no longer able to find anyone to do it for him, so he started making the soup without the blood. I call it Urban Duck Soup, because city folk have to get their duck from the local grocery store. The recipe is exactly the same, except you don’t add the blood. My family actually likes it better that way. The blood lends a certain chalkiness to the soup, but it’s been so long since we’ve had it we no longer believe it adds much flavor. When I make the soup, I’ll roast the duck and serve the breast for dinner with orange sauce. The next day I pick all of the meat off the bones and use them to make bone broth. I’ll simmer the bones, skin and pan drippings with vegetable broth, bay leaf, peppercorn, allspice berries, clove and 1-2 chicken bouillon for 24-48 hours. Then I strain the broth and refrigerate it overnight, or until all of the fat solidifies. When the fat has hardened I skim it off and reserve it in case I need it later. Then I add the carrots, celery, onion, garlic, dill and 1/2 pound of chopped prunes; I simmer this until the carrots are soft. Then I add the shredded duck and another 1/2 pound of chopped prunes, heat it thoroughly and serve it over egg noodles. Sometimes before I serve it I feel like the soup needs something. That’s when I add a tablespoon or two of the reserved fat, or butter, and maybe some salt. If you use salted butter go easy on the salt. My grandma was from Warsaw Poland. She said they didn't eat Czarnina there. It's a regional thing. When she married grandpa she said she had to learn to make Czarnina for him because they ate it where he was from. He was from a part of the Ukraine that was once a part of Poland. Grandpa was 3/4 Pole and 1/4 Ukrainian. 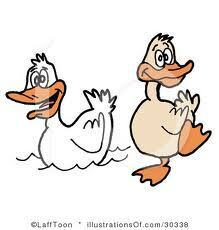 I live in Cleveland Ohio and there are a couple of stores where I get ducks and blood. I make my grandma's Czarnina recipe. Been making it for 41 years... since I was 20 y/o. I'll be making a pot of Czarnina tomorrow. My Grandfather (Casey Cegelka) and Grandmother (Jane Cegelka) were head of the P.L.A.V (Polish Legion) In Garfield Hts,Ohio. My Grandmother, family members, and PLAV members would make her Czarnina recipe for hundreds of people every year at some banquet hall around there in the 1980's. My mouth is watering as I think about that broth and those dense dumplings...Yum! I live in Arizona and have wanted to make this soup for the last 25 years. I remember her shaving those raw potatoes into saw dust size by hand for hours..God they used to work so hard back then..Anyways, I would love to get your recipe. My Grandmother's cookbooks are no where to be found. So, it would be nice to get a recipe from someone of your background. My husband's mother makes this, he and our daughters love czarnina. They are Polish (Zielaskowski's our name). Their family originates from Prussia, must have been made in that region. We live in a rural area so my husband was able to purchase two geese and blood. He's going to try to make it on his own with the help of this recipe. We'll see how it goes!! I still make it and I am lucky we have a butcher shop that still sells it...well I haven't tried yet this year. Going to call now! And duck is so expensive!! go to buffalofoods.com - under the specialty foods section - and they have 'czarnina kits' you can buy. it includes 2 pts. of real ducks blood, 6# duck meat and 2# kluski. its enough for 2 nice pots of our beloved 'soul food'. Bought the kits some years ago, now they are extremely expensive without combined shipping. I'd buy 2 kits at a time to save money, but no longer offered. Haven't bought since. Just had some in a Polish Restaurant in Milwaukee. Talking with the chef, he indicated that you can still buy duck's blood in the Great Lakes region. I live in Las Vegas Nevada and it is not here. I looked at buffalo foods and they want $80.00 for the kit, I just want the blood, can anybody tell me where to get just the ducks blood please. Buffalo foods now has the blood. Srodeks (srodek.com), a market in Detroit's old Polish suburb of Hamtramck, sells a quart of the finished product for about seven bucks, but the shipping is another forty. Besides, I want to make my gramma's czarnina, as there are lots of flavor differences among family recipes. 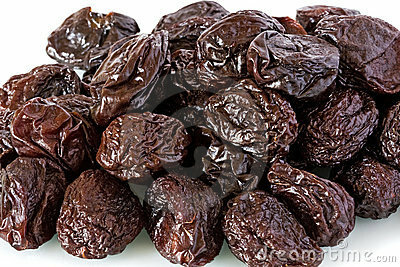 Our soup depended more on prunes; I know that apples, cherries, raisins and other fruit are often used, but they're just not the same taste of home for me. However, the Asian market source for blood was a good suggestion. My relatives back in Toledo, Ohio had to switch to pork blood due to health regs and they say it's a good substitute. So I'll be checking the Asian markets here in Tucson. I make my grandmother's recipe for Czarnina. She was from Sandomiercz, Poland. It is delicious. I used to have a poulter in Dearborn who did the fresh duck for me with the blood. About 1/4 cup of vinegar prevents the blood from congealing. I can not find anyone this year. My guy seems to have gone out of business. It is a shame. It is really is a delicacy and a custom that is sad to lose. :-( Janja. You can buy duck blood at Tower Chicken & Rupina's in Milwaukee, WI. My family is from Poland we all live in American now.I grew up on a small farm in Oklahoma and had this (with fresh duck)every Sunday for supper. I live in the OC (CA) near Little Saigon. I'm originally from MI - my paternal forebears had roots in Hamtramck. My wife is asian & there are many shops selling fresh chickens & ducks. By fresh I mean slaughtered & dressed on the premises. Here in Michigan my Mother made it without the blood. We used apple butter for the richness. Also, our recipe seemed more dependent on spices to add flavor. So apple butter is a good substitute. 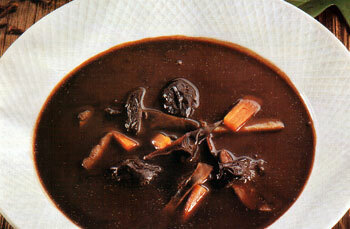 Duck broth (or chicken broth) prunes, raisins, celery, sometimes carrots then thickened and a touch of vinegar. Soul food for sure. Spices included allspice, salt, pepper and I believe onion. It's a worthy consideration, Verna Booms, apple butter as a substitute for the blood, but there's something about the notion that makes me want to tear at my hair and yell, "No, no, no, no, no!" But maybe that's just me. Seriously, though, I'd like to try apple butter with the blood. Most often, I use blended prunes and prune juice, but apple butter might be interesting. Would you recommend substituting apple butter for the pears?